28; [stamp] Alda Jourdan Photographer, 856 SW Broadway Dr., Portland ORE. Description Photo courtesy of Jean Irwin Hoffman. 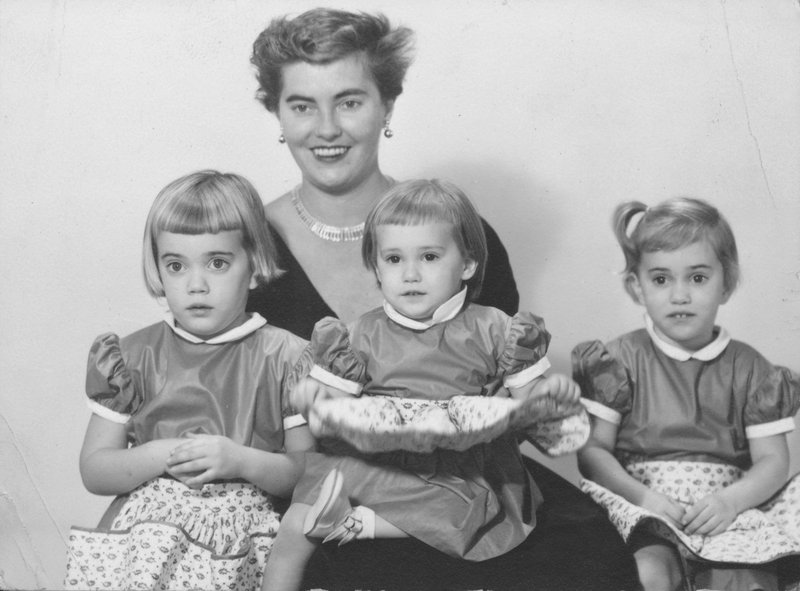 Jean Irwin Hoffman is pictured with her daughters Joan Irwin Hoffman (5/8/1949), Sally Burns Hoffman (12/8/1952), and Susan Hyde Hoffman (8/8/1950). Transcription 28; [stamp] Alda Jourdan Photographer, 856 SW Broadway Dr., Portland ORE.